On December 18, 1997, the Food and Drug Administration (FDA) adopted the Seafood Hazard Analysis Critical Control Point (HACCP) Regulation 21 CFR Part 123 final rule to ensure the safe and sanitary processing of fish and fishery products including imported seafood. The regulation mandates the application of HACCP principles to the processing of seafood. HACCP is a preventive system of hazard control that can be used by processors to ensure the safety of their products to consumers. The Office of Seafood developed an electronic form (FDA form 3501) to collect data from the field. Data is collected during regulatory inspections for each product inspected by FDA. The data included in the tables in this report are based on the number of inspections actually completed and not the total number of firms in the FDA inventory. Not all firms are inspected annually; decisions on which firms to inspect are based on level of risk and compliance history. Currently, all high-risk firms are inspected; there were 3,226 high- risk firms in the 2004 inventory. Domestically, this evaluation covers implementation of the program by U.S. fish and fishery products processors, as observed during regulatory inspections by FDA and some states operating under contract or partnership agreements with FDA. This report also includes information about HACCP implementation by domestic processors of raw molluscan shellfish, as observed during audits by FDA of inspections performed by state regulatory authorities under the National Shellfish Sanitation Program. Internationally, this report reviews the status of HACCP implementation by 176 processors in 20 countries that were visited by FDA inspectors during 2002 and 2003. It also covers progress by U.S. importers of foreign fish and fishery products in ensuring that their foreign suppliers are complying with U.S. HACCP requirements. As in previous evaluations, the tables show the most significant elements of the program and provide the percentage of processors in each program year that succeeded in accomplishing each of these elements. The accompanying narrative addresses specific aspects of the data in the tables, including noteworthy trends and issues that are emerging, continuing, or reversing since the previous evaluation. The report makes five recommendations: (1) Continue to categorize processors of scombroid species and cooked ready-to-eat products as high risk manufacturers and inspect all annually; (2) Increase inspections of aquaculture firms and importers; (3) Work with the Seafood HACCP Alliance and NFI to develop and present HACCP training for seafood importers and aquaculture firms. We have completed one series of importer trainings in the large import districts with NFI at their regional meetings; (4) Issue the Fish & Fisheries Products Hazards and Control Guidance: Fourth Edition; (5) Continue follow-up on firms that need a plan but do not have one. This project provides a means to ensure the safety and nutrition of all infant formula, and to provide for annual surveillance of all infant formula manufacturers (including exempt infant formula manufacturers) to determine compliance with the provisions of Section 412 of the Act, and Title 21 Code of Federal Regulations Parts 106 and 107 and to take corrective action as appropriate. The methodology used to conduct the Infant Formula Program Evaluation included a review of FY 2004 Establishment Inspection Reports, FACTS sample and consumer complaint data, and CFSAN Program Monitor’s data. Major findings of the report include: registered domestic manufacturers of infant formula are in substantial compliance with all applicable regulations; based on sample analysis alone, it appears that infant formulas manufactured by foreign firms that are registered as infant formula manufacturers, are in compliance with all applicable regulations; and infant formulas marketed by firms that are not registered infant formula manufacturers may not provide adequate nutrition for infants. The report makes a number of recommendations: (1) That inspection of all foreign infant formula manufacturers be conducted in FY05. In the event that the inspections of foreign infant formula manufacturers could not be accomplished, that representative domestic import samples of infant formula be collected from each active foreign manufacturer; (2) Continue to conduct annual inspections of all domestic infant formula manufacturers;(3) Revise the Infant Formula Compliance Program to include sampling of all imported infant formula products that are imported from firms that are not registered as infant formula manufacturers. Update the program to reflect current procedures and priorities (e.g., E. sakazakii, allergens, bioterrorism concerns); (4) Conduct surveys in ethnic markets to determine if infant formulas that are not registered with FDA are being marketed domestically; (5) Work with the Atlanta Center for Nutrient Analysis (ACNA) to develop a testing protocol for analyzing imported products for specific nutrients; (6) Schedule high priority inspections if it is found that infant formula manufactured by firms that are not registered are being imported to the U.S.; (7) Publish Good Manufacturing Practice regulations for infant formula; (8) Develop industry guidance to ensure that powdered infant formula is not contaminated with E. sakazakii; (9) Issue an Import Bulletin to address the issue of American Goods Returned for infant formulas; (10) Ensure that infant formula recalls are classified in a timely manner; (11) Conduct bi-annual evaluations of the Infant Formula Program due to the high rate of compliance; (12) Provide training on how to use databases (e.g., Field Accomplishment Compliance Tracking System [FACTS], Operational and Administrative System for Import Support [OASIS], etc.,) to help facilitate evaluation of program accomplishments. The purpose of this project was to evaluate the Food and Drug Administration’s (FDA) Field inspection findings for cosmetic manufacturing firms in order to assist in setting inspection priorities. Since FDA does not have pre-market review authority for cosmetics or cosmetic labeling, exercising our inspectional authority under the FD&C Act is especially important in the regulation of cosmetic products. Thus, the inspections and samples required under this program are necessary to help ensure that the industry is producing cosmetics that are both safe and properly labeled before they reach the market. 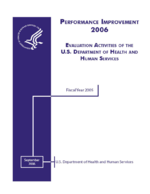 The evaluation involved the review of FDA’s “Field Accomplishments and Compliance Tracking System” (FACTS) database for Fiscal Year 2004 (FY04) “cosmetic establishment inspections.” Data reviewed included numbers of inspections, inspection classifications, product types, and sample collections. 14 FDA District Offices conducted 120 inspections under the Domestic Cosmetics Compliance Program in FY04. Inspections covered a broad range of cosmetic products. Inspections were classified as follows: 69 percent “No Action Indicated,” 23 percent “Voluntary Action Indicated,” six percent “Official Action Indicated,” and two inspections were not classified. The number (seven) and reasons (mainly microbiological and colors related) for recalls in FY04 did not diverge significantly from the number and reasons for recalls as the previous three fiscal years. Eighty-five samples were collected during these inspections. Two inspections involved samples for potential microbial contamination (shampoo and hair styling products), one inspection collected samples of tattoo inks for which multiple adverse events were reported to the agency, and one inspection involved the collection of decorative, non-vision-correcting contact lenses (for label review and to determine if the lenses were distributed without the involvement of a qualified eye care professional). Overall, the objectives of the Domestic Cosmetics Compliance Program (CP 7329.001) appear to have been met and remain as valid objectives for the FY05 cosmetics program. The program evaluation data indicated that program objectives could be enhanced through increased inspectional coverage of eye area cosmetic products, sampling for microbiological analysis, and the submission of the bovine-derived tissue questionnaire per program directions. Additional coverage is suggested for establishments that produce solely cosmetic products (e.g., firms that do not also produce drug products), and of products marketed as cosmetics but that bear drug claims. The purpose of this project was to evaluate the performance of the program against its primary objective of determining compliance of imported foods with the requirements of the Federal Food, Drug, and Cosmetic Act and the food and color additive regulations. The performance of this compliance program was evaluated based on data collected by the Food and Drug Administration (FDA) field offices in FY 2004 from analyzing samples of imported food products for food and color additive violations. The study found continued high violation rates in 2004 for undeclared sulfites (45 percent), cyclamates (45 percent), and coumarin (36 percent). The violation rates for all targeted food and color additives were 44 percent and 58 percent, respectively. The report makes a number of recommendations: (1) Target cyclamates in all foods, not just mixed fruit products; (2) Target 3-MCPD (a carcinogenic impurity) in Asian-style sauces and acid-hydrolyzed protein; (3) Target unsafe herbal and other dietary supplement- type ingredients in conventional foods; (4) Spend more resources on medium and high risk violations (e.g., unapproved color additives such as Sudan I) and less on low risk problems (e.g., undeclared color additives that are approved for food use); (5) Use moderate surveillance program with focus on problems identified by foreign food-control authorities (e.g., the illegal color additive Sudan I); (6) Delete undeclared benzoates, sorbates, and nitrates/nitrites as violations that should be targeted; (7) Keep abreast of software for finding food and color additive violation trends; (8) Determine whether betel nuts are still being offered for import; (9) Implement an equivalent of the EC’s Rapid Alert System.